This debut novel from American Author, Kimberly McCreight was one that kept cropping up with mixed reviews but the whole concept of the book sounded so current and topical I just went into it with my eyes wide open. Kate is a single Mum to 15 year old Amelia who has been the perfect, bright and well adjusted child we all dream of. Although the small family struggle with finding time together, the time they do spend is precious and full of the closeness any mother would want for herself and her daughter. The police confirm that the teenager has jumped off the roof of the school and all signs point to suicide. Weeks after the tragedy, Kate receives an anonymous text saying " Amelia didn't jump ". The book is written from several different angles. 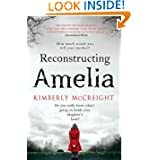 Kate and her grief, anger and shock, Amelia and the lead up to the fatal day and social media entries from Amelia, her friends and peers. 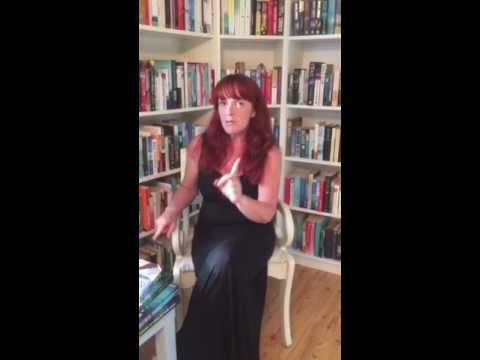 I loved the emails, texts and Facebook updates as they are so important to todays teenagers and the best way of gauging their moods and how they see themselves at one particular time. George McDonnell can you say, Lexapro? " The story unravels piece by piece through the eyes of confused and pressured teenagers in a society of unforgiving peers who have access to miniature torture devices which take the shape of handheld, portable electronics. This book is not for the faint hearted , who believe they know everything about their children. It is a peek at the harsh, real world of teenagers today and while this particular story may be extreme, do not be fooled into thinking this kind of thing does not go on everywhere. The only issue I had with it was the fact that Kate genuinely believes she knows her daughter despite only spending a few hours with her every week and not monitoring her online activities or who she is hanging out with on a daily basis. This seems a bit dated for a family living in modern America. A fantastic novel, thought provoking, eye opening and so very very real.